Baker Lane is home of practical, pretty patterns for mother & child. Celebrating the classic elegance of past fashions, Mandy and Rebecca are here to help you interpret the wonderful sensibility of the past for clothing that is readily wearable today. Click image for purchasing info. Visit the Gallery for a wealth of feminine fashion inspiration! Items in the Gallery were all custom-made by Rebecca for her lovely clients around the world. 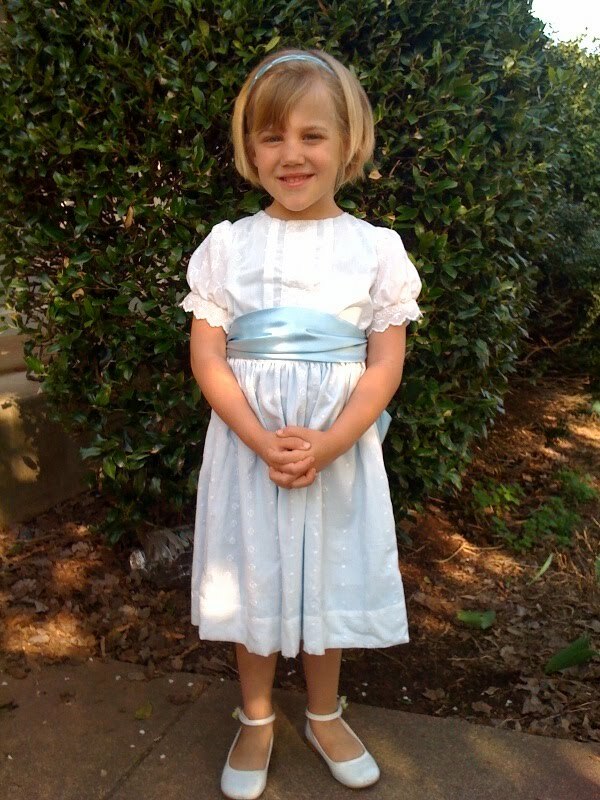 "Girls in white dresses with blue satin sashes"
One of your favorite things, too? We thought so! Lizzie models her Easter dress from the Sense and Sensibility Girls' 1914 Dress pattern in white poly cotton border eyelet with baby blue batiste lining and satin sash. "Put even the plainest woman into a beautiful dress and unconsciously she will try to live up to it."